Hathway Cable and Datacom has launched their nation wide upgraded fixed line broadband internet service with high speed connectivity of 300 MBPS with 2TB Data at an attractive price of Rs 1250 per month for 12 months pack. It will be available for purchase in Chennai from 10th September and other parts of country from 1st December 2018. 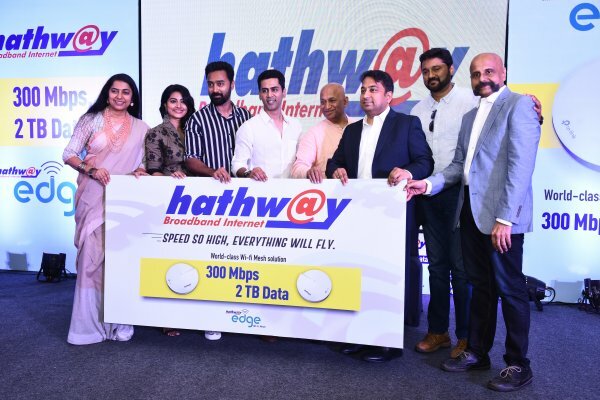 According to Hathway, while most of the operators in Chennai city have been offering 100 GBdata limits, Hathway plan of 300 MBPS speed and 2 TB for at affordable pricing, is all set to raise the level of online user experience.